I know. I was referring to why the poster before me may have failed to find OpenOffice in the list. I'm sorry I read the wrong meaning in that all the way around. 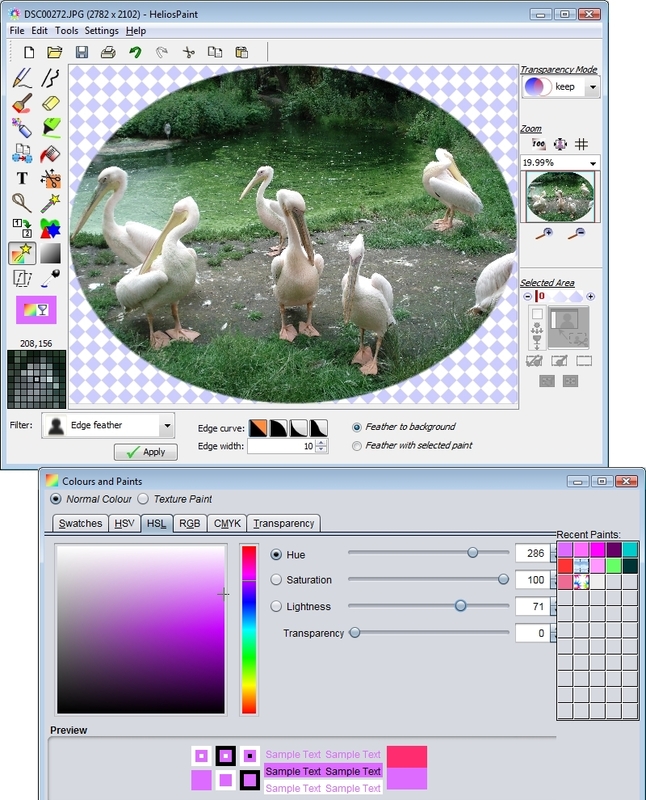 HeliosPaint is a feature-rich, easy-to-use and powerful paint program for editing photos, drawings and icons. It can run on Microsoft Windows, Apple Mac OS X and Linux computers. Spray Can with adjustable size and edge feathering or global spray option. Copy Brush for copying one area of an image to another for retouching, healing and blending. Shape tool for creating freehand, regular polygon, star, moon and heart shapes. Image filters: RGB levels, HSB levels, HSL levels, gamma, transparency, channel mix, temperature and tint, contrast, gain and bias, threshold, black and white, invert, solarize, gray, colour filter, sepia tone, sharpen, unsharp mask, blur, diffuse, edge feathering, edge detection, oil painting effect, posterise, emboss, chrome, noise reduce. Image colour and transparency adjustment by flat, round, rectangular and 'fit to shape' gradient patterns. This allows areas of the image to be darkened, brightened and colour enhanced. Image flip, scale up, scale down, rotate, shear, perspective view. Full colour pallet with adjustable transparency and colour grabber. Fully opaque, part transparent or fully transparent background colours. Full texture paint support with adjustable transparency. Texture paint images can be created, loaded and saved to disk or simply drag and dropped into HeliosPaint from the Internet. Zoom in / out with optional zoom grid. High level zoom for easy icon / transparent icon editing. Text and image paste from clipboard. Image and image segment copy/cut onto clipboard. Scissors, lasso and wand for selecting and moving an area of the image. Sensitivity of lasso and wand is adjustable. Transparency of overlaid area is adjustable. Scissors can cut out various shapes including regular polygons, stars and hearts. When part of the image is selected, all paint operations apply only to that area. Load, edit and save transparent png and transparent gif files. Printing with auto fit to page. Export image to PDF file. Simple and easy to use help file. Reads and writes image file formats: bmp, gif, jpg/jpeg, pct/pict, pcx, pgm, png, ppm, psd, ras, tga, tif/tiff, wbmp, xpm. Supports images up to 14 megapixels in size (depends on computer memory - a high end computer is recommended for working with very large images). Looks like OpenOffice download page is down...as the main page. Since last LibreOffice 3.5 ? Hum looks promising for a me as I have no experience with graphical stuff thanks Stralker. I did not see this program on Brinks massive list it is called EaseUS® Todo Backup Free 4.0 and I have recently started using it after restoring a pre - SSD image using another backup program and having a mis-aligned SSD. This program re-aligned my SSD after performing an initial Backup then restore using SSD optimization. Note: The ability to create a Win PE disk is no longer included as of version (4.0.0.5), March 16th 2012. Hiyya Iown I think I got this one from Miles some time ago and use it all the time. I actually used to use it for a backup by having two 1TB drives in the one machine and once in a while I just cloned the one in use to the second one then use it until I reclone back to the other that way you have a ready made new drive on tap albeit short of a few updates perhaps if the drive you are using goes bung. Doing it this way I (used to) get backed up entirely as I go along, and it only takes about 35-40mins to do that. However I do use an SSD now and have to back up to the 1TB but for anyone using the two drives like I did it's a great and simple app to use. One problem is though is that you can only clone from the same size to same size or from smaller to larger and NOT larger to smaller. Found this and I quite like it - i detects tracking. It's free for non-commercial use, has a Paint Shop Pro lookalike GUI, loads and loads of functions, and a host of plugins which you can add at the url below. 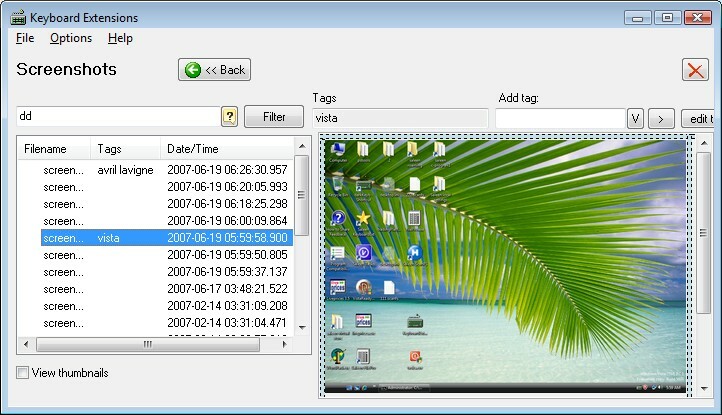 Which version do you use Qdos? I see one for EURO 29. Also it claims to be shareware, requiring payment after 30 days.